can’t believe that I’m only learning about this now but beetroot greens are edible and actually healthier than beetroots! On top of this, they’re easy to cook with and a great addition to almost any savoury dish. Eat the whole plant, not just the root!! I stumbled across this fact when I harvested my beetroots. After planting them a few months ago, I was eager to harvest my beets. But when I pulled them out I discovered that the plants didn’t grow any beets at all. Disappointed by my recent gardening fail, I turned to Google for answers. This is when I came across recipes for beetroot greens. I did some more research and it turned out that not only are the leaves edible but they are also more nutritious than the actual beets themselves. I learned that beetroot greens are a great source of vitamin B6, magnesium, potassium, copper, manganese, protein, phosphorus, zinc and fibre. The list of health benefits goes on and on. Check out this website for a full list of nutrition facts. It’s so much better to use the whole plant rather than only one part of it. Especially when it comes with amazing health benefits, great taste and no additional cost. On top of it, we are also avoiding waste, even if it’s organic waste. That’s why I was really thrilled to learn about the health benefits of carrot greens. Don’t you agree? We learned now that beet greens are a real powerhouse! This is especially important for vegetarians like me. Because not only am I able to mix up my diet but I also found another reliable source of protein, minerals and vitamins. 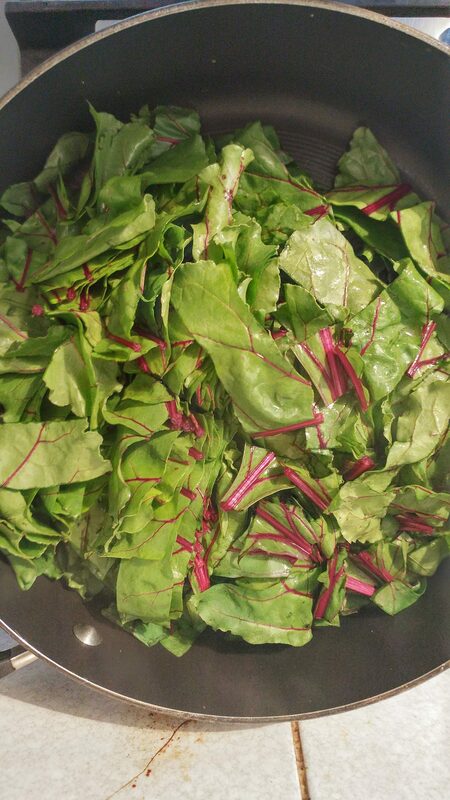 Incorporating beetroot greens into your cooking routine should be fairly easy. Beetroot greens can be pretty much treated like spinach and they taste similar too. Start with washing and chopping them into bite-size pieces. From here the options are endless. You can now turn the beet greens into a salad, stir-fry or add them to stews and other savoury dishes. 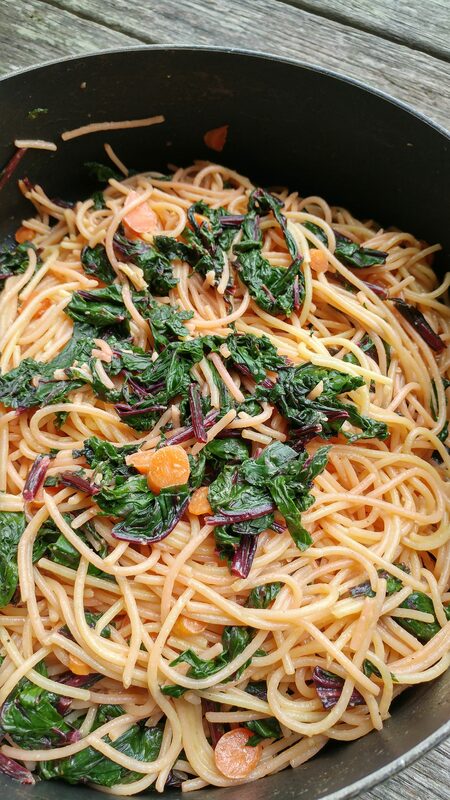 I used the leaves from my gardening fail and added them to a pasta dish, They tasted fantastic! How to get your hands on beetroot greens? Alright, so we know all about the greatness of beet greens now but where can you buy them?? Admittedly, I have never seen them in regular supermarkets or perhaps only in those ready-made salad mixes. But we want to avoid those because they come with unnecessary plastic, right?!! So perhaps try fruit and veg shops, organic supermarkets or your local farmer’s market.This is probably the best option. I’m going to the farmer’s market every week and I noticed that some farmers are selling their beets without the leaves. Simply ask if you can have them. I’ve started to ask my for any beetroot greens cut-offs and the farmer gave me a whole bag full. 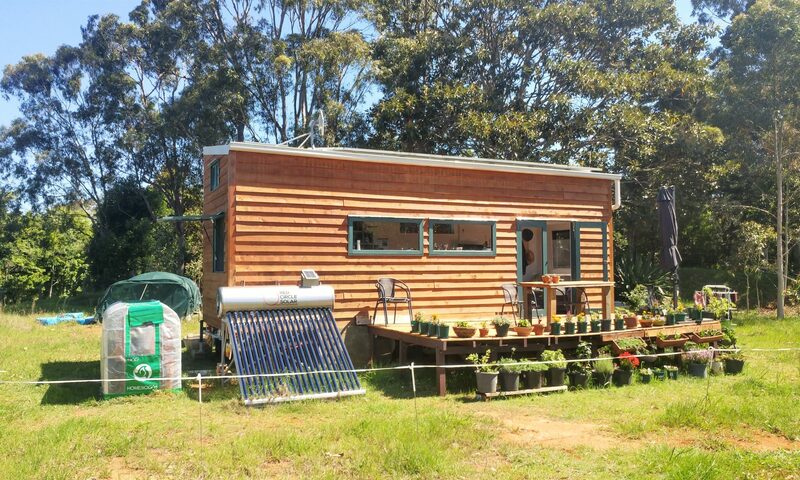 It works great for me and the farmers can reduce their organic waste too. Win win. Another option can be to grow your own beetroot greens on your kitchen windowsill. I haven’t tested this yet myself but given my recent home growing failure, I suppose that it’s possible. Beets don’t like it hot but still want some sun. Since it’s in a small pot, the leaves won’t produce any beets. This is what I will do in addition to the farmer’s market option. Next PostNext We are building the french doors for our tiny house!